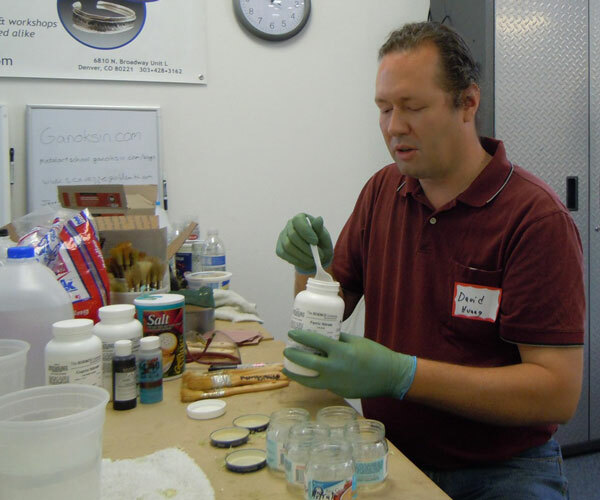 Do you know of another workshop that David or anyone else that will be teaching Patinas? Brenda–I have no idea where other workshops will be. Check with your local guild or metalsmithing organization. They may know. Plus that bowl of David’s is such a wonderful art work. He is a master craftsman. Thanks for sharing all this wonderful information. Kathleen–I was so thrilled to get to share all those tiles with you. I know you covet the purple one. It was a great “Happy Accident” and David says those are wonderful when they happen. 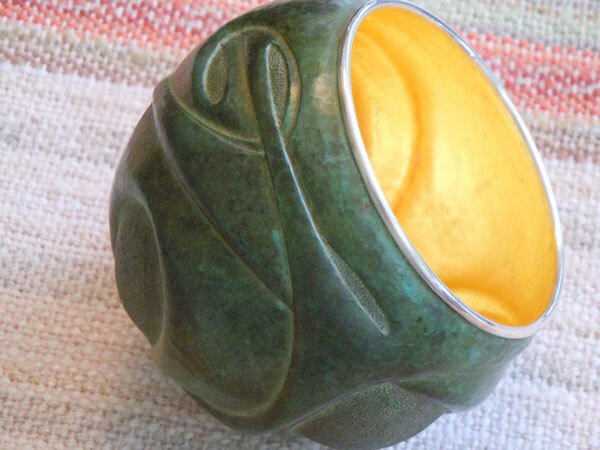 Wouldn’t it be great to perfect a purple patina! We will work on it. Lexi! I love you. I can hear your voice in every article & I learn so much & you get me motivated! I’m also teaching at The Denver School of Metal Arts and looking for my next class to take in trade! ; ) See you in Salida! On the note of generous teachers ~ like attracts like and (Karma being Karma) it’s only natural that you’d end up with David being generous with his time. That sounds like an awesome workshop and I can’t wait to see your new “colors!!! !” BTW I will be in NM next week – am getting married this Sat. (yes) and will be heading out for a 2 week play- by- ear trip with new hubbie! In addition will be getting some things out of storage including my torch (finally) 🙂 and will be ready to fire it up shortly thereafter!!! Been doing some painting and actually did 2 shows this past year. Life is good – you are right!!! Would love to see you so not sure where exactly you are in relation to Abq. or if will be feasible – regardless will stay in touch!!!! I absolutely LOVE The Torch by the way………..!. JACKIE!!!!! YOU’RE GETTIG MARRIED! HOW FABULOUS! I wish you were still in the Southwest, but I’m just being selfish there. Will you live in PA? I send you huge hugs and baskets full of good wishes. Jac–thank you for your finishing technique. The idea about the colored wax is great. David had us finish them with Johnson’s Paste Wax, and some people used Turtle Wax. It may be applied either hot or cold. 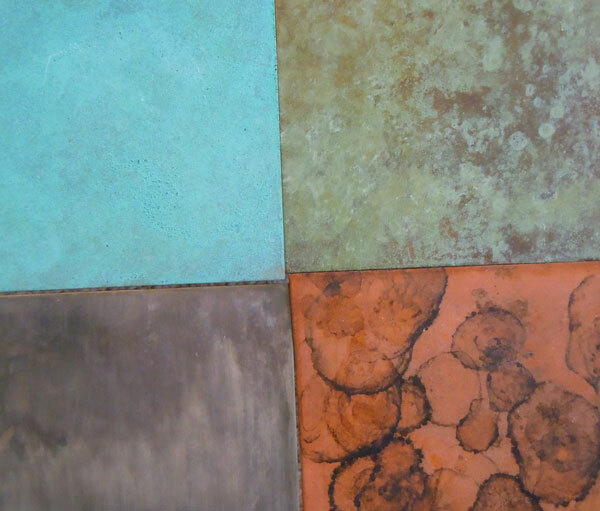 I hope you get to give some workshops soon because patinas are wonderful things.